The State of Israel has appointed Madam Shani Cooper as the new Ambassador to Ghana, Liberia and Sierra Leone. Ambassador Cooper replaces Mr Ami Mehl who ended his term of service in July 2018. A statement copied to the Ghana News Agency noted that Madam Cooper comes to Ghana with 12 years of diplomatic experience, having served in Egypt, Cyprus, Turkey and Israel’s Ministry of Foreign Affairs. Ghana will be her fourth diplomatic posting. It said Ambassador Cooper “was born in an agricultural village in Israel, where farming was not easy, but the Israeli spirit proved that ‘where there is a will, there is a way’ and hard work and agricultural innovation made it possible to grow fruits and vegetables on a difficult land. “She is proud to represent the land of innovation, Israel, in Ghana, and is committed to promote and share knowledge in fields such as medicine, water, agriculture, and high-tech”. 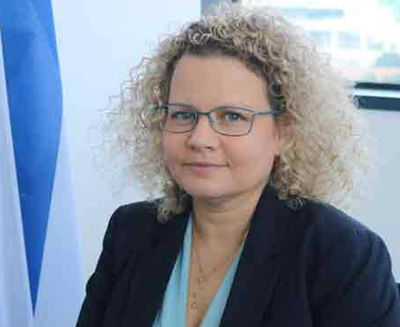 The statement said the Appointment of Madam Cooper is part of the framework to invest and strengthen relations between Israel and Africa, during which a new commercial office had been opened within the Israeli Embassy in Accra. It said Israel had a long-term diplomatic and bilateral partnership with Ghana and was the first African country to establish diplomatic relations with the State of Israel, the second state in Africa to have an Israeli embassy and the first African state to have a state visit by Israel’s former Foreign Minister Golda Meir in 1958. The statement said in 2011, the State of Israel reopened its Embassy in Accra, which had since strengthened the relations between Israel and Ghana. It stated that Ambassador Cooper’s arrival in Ghana would help to establish an even stronger bilateral cooperation between the two countries and would ensure mutual benefits for both states.